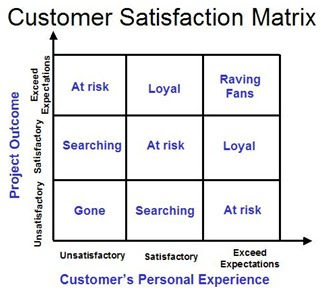 In a recent series of local meetings of Chief Executive Boards International, we opened with a discussion of a Customer Satisfaction Matrix I was shown years ago by my friend Frank DeVita, founder and owner of DeVita & Associates. Here's the premise: Most organizations focus most of their Customer Satisfaction time and metrics on the outcome of a transaction or project. Outcome is important -- measuring things like quality, on-time delivery, return rates, etc. has brought the world a long way, particularly in manufacturing. But services can be measured in terms of outcome, as well -- Did it get fixed? Did it get fixed on time? Did it stay fixed? Etc. etc. Outcome alone will not ensure your long-term success with a customer. Rather, creating a "raving fan" is a more appropriate goal -- to create a customer who's out there advocating for you, recommending you, and bringing you up in conversation unprompted. This is the stuff "word of mouth" is all about. What else does it take besides a great outcome? A great customer experience. Customers are people, too, and they remember just how easy (or hard) it was to do business with you. They remember not only how it ended, but also how it felt during the process. Did they have to call you for updates, or did you provide them at the appropriate intervals? How many rings did it take for them to get an answer, or were they able to get around the "dial through Hell" inbound call menu (raving fans expect a hotline -- not to be treated like any other random phone call that rings into your business). Loyal Customers -- They're solid with you, and would probably stiff-arm a competitor who called up and suggested he come over to "get acquainted." Their response, "I'm well-served by my current supplier." Gone -- Most of us have one or more of these -- when you look back, it's usually a "perfect storm" of not only marginal outcome, but also a bad customer experience, to boot. I'm willing to presume that most companies today do something to measure, track and improve the outcome of whatever deliverable they provide. What is it that you're doing to measure, track and improve the experience your customers or clients have in their ongoing relationship with you? 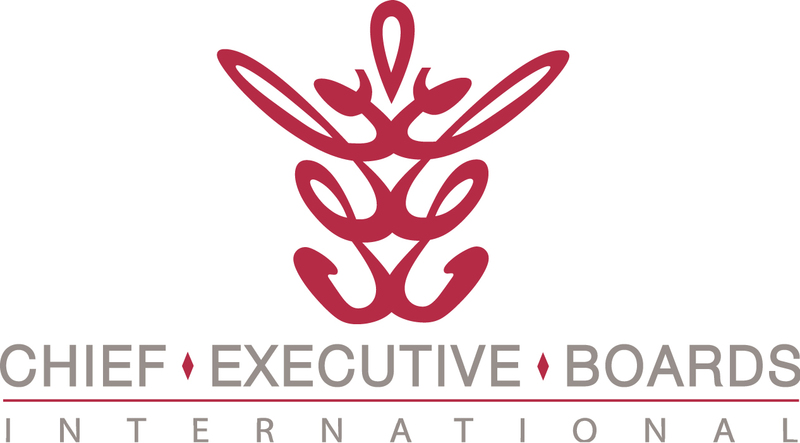 This is the "foreword" article of several in which we'll highlight things real CEBI member companies are doing to measure, track and improve customer experience. Stay tuned. If you've developed some ways to measure, track and improve customer experience, please click "Comments" below and share them with others.